There is something about fairgrounds and carnivals. Despite their bright and happy exteriors there is a lurking sense of mystery, of menace, of secrets hidden behind the flashing lights and constant noise. The owner with the LOVE tattoos on his knuckles, what does he conceal? It's just my imagination, but there are few things as evocative as a near empty fairground at night. Not that this fairground was empty. It's our first school holidays as parents, so we took Alex to the Sydney Royal Agricultural Show at the Olympic Park. The first thing he wanted to do was go on the rides. Near the entrance are the child friendly rides. He splashed down the Jungle Adventure flume ride, slide down the very tall slide, both with Mummy and then, by himself, span round in a miniature biplane on the Red Baron. We had brought sandwiches for lunch, then he was mesmerised by a wildlife show featuring lizards, a tree frog, tawny frogmouth and a frozen mouse. There was much amusement outside the Hollywood Horrors. A zombie prowled the area, but Alex was eating a Zombie Guts ice block. Then there was another man dressed as a scary chair. One kid leapt out at it, blasting the chair with his high powered toy weaponry. Alex ran up and tapped the chair, not scared at all, unlike some adults. Agricultural produce and food were next, eating samples and snack and Alex colouring in. Some very impressive displays made out of grains, fruits and vegetables, including one from our local high school. He didn't really know about the whole showbag thing, but he cuddled his Despicable Me minion tightly and wore his minion cap once we'd encouraged him in the right direction. Outside the showbag hall were some of the scariest rides I've ever seen. I have no idea why people want to drop down so fast from such great heights, especially after my recent turbulent flight home. Madness. We rested at the dog show for a while, watching overweight owners put their terriers and weimaraners through their paces. Farm animals took up the rest of the day. Performing horses, sheep shearing, spitting alpacas. Alex just squeezed in to the cow milking but was more excited by the mechanical milking apparatus than by his manual attempts. We all loved the baby animals, especially the ducklings. A dagwood dog and an ice cream were needed to convince him to see the animals and when we offered to take him into the dinosaur exhibition he simply didn't care. Not interested in growing grains, but was interested in processing the oats and then in making pasta from dough. So mechanical, our boy. We departed as the sun set, walking past the brightly lit kids fairground rides, so mysterious, so evocative. A great day. Just a quick review tonight as I'm off on another adventure to Japan tomorrow. 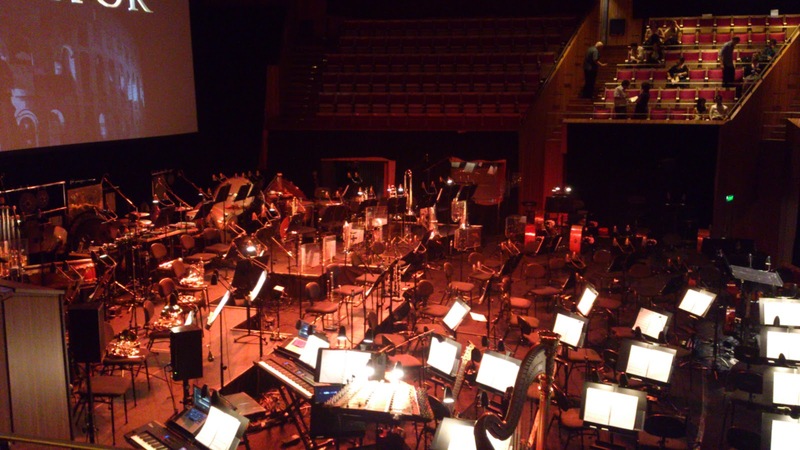 This was another concert where a live orchestra performs while a full movie and dialogue is displayed on a big screen behind them. 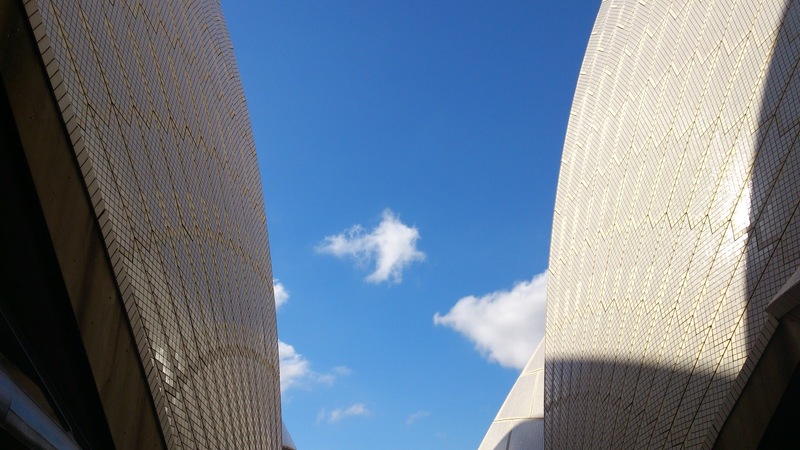 Today's film at the Sydney Opera House was Gladiator with music by Hans Zimmer (and friends) and Lisa Gerrard as performed by the Sydney Symphony Orchestra, Vox - Sydney Philharmonia Choirs and Ms Gerrard herself, conducted by the American Justin Freer. I'm not the world's biggest Hans Zimmer fan. I tend to think he music is like junk food - instantly tasty but lacking in sophisticated flavour - when compared to composers like John Williams and Jerry Goldsmith. Many of his soundtrack albums are overproduced, so it was interesting to hear the music live. 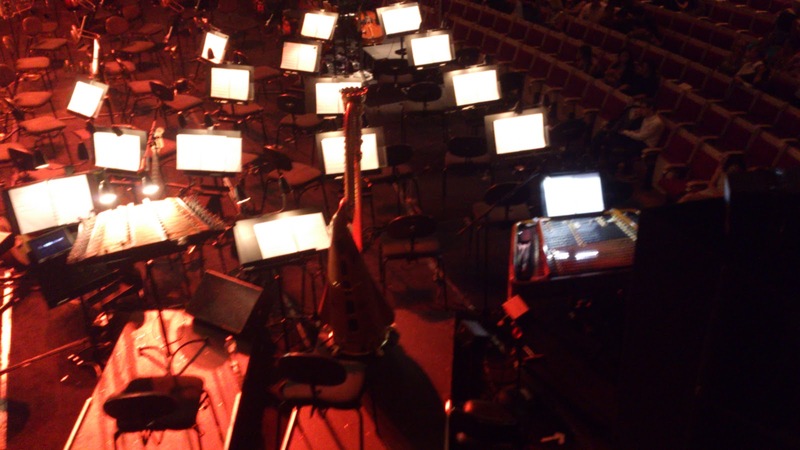 I was seated in the "X" box, adjacent to the choir and overlooking the orchestra from the side. This was actually a rather interesting perspective as I had a great view of most of the orchestra and was able to identify which instruments were producing each sound. This particular work involved some less common instruments, including the cimbalom, duduk and zurna, along with a variety of percussion pieces. Lisa Gerrard, standing directly below us, played the yangqin as well as providing her distinctive voice. The large horn section were kept very busy for much of the time. The music tends towards to brash and bold and can tend towards an overwhelming listen, but that is the nature of the movie. There are some more reflective moments, such as the ethereal sequences where he dreams of Elysium (heaven). 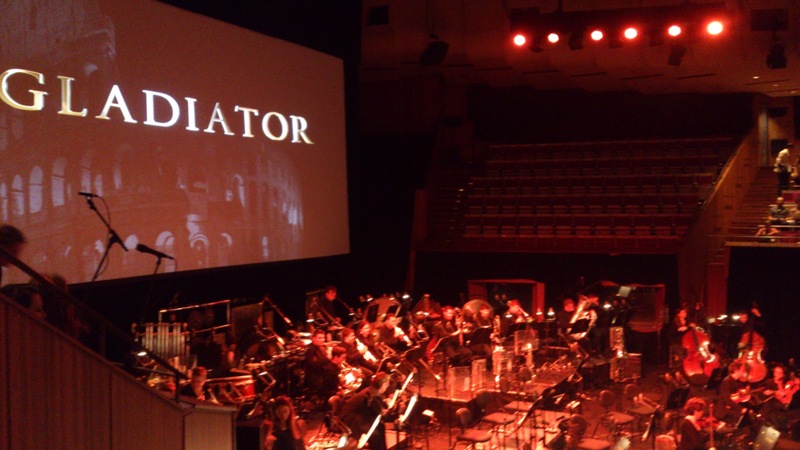 The orchestra played an overture beyond the end of the credits while behind the scenes shots from the movie were displayed. Then they were given a rousing applause and Gerrard blew kisses to the audience. I have the soundtrack at home, but it was not the music I would have chosen prior to a flight to Japan (though "Now we are free" was used in a Qantas advertisement). Zimmer's superior Last Samurai score would have been a closer fit, but beggars can't be choosers. I actually prefer the concerts without the film showing as it means less distraction from the music. Of this style concert, I think I enjoyed the Lord of the Rings and Pirates of the Caribbean concerts better. Still, it was still a fun afternoon and and certainly worth the experience.